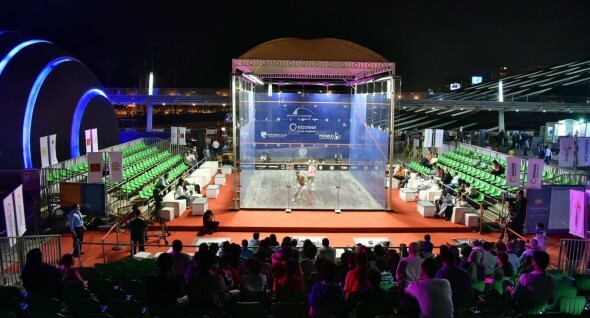 There will be Egyptian interest in all four quarter-finals of the Women’s Alexandria International after Alexandrians Nour El Sherbini and Raneem El Welily thrilled the home crowd on the second day of last sixteen action with victories in the WSA International 100 squash event at Bibliotheca Alexandrina. 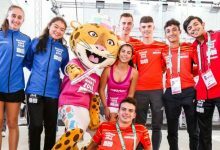 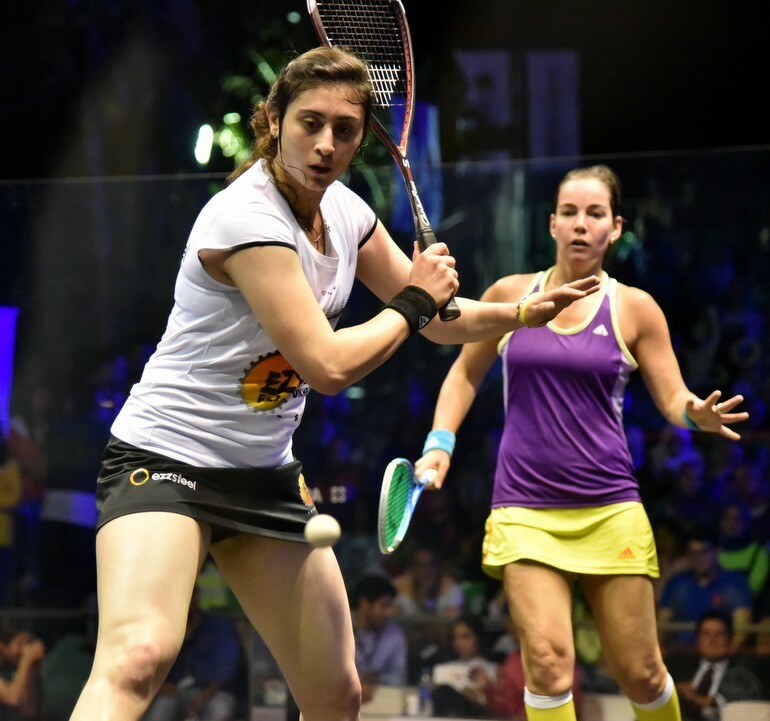 Eighth seed El Sherbini, a three-time world junior champion, delighted the partisan crowd – and the governor of Alexandria – with a powerful performance against England’s Jenny Duncalf. 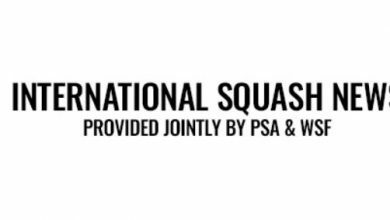 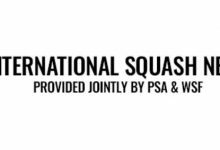 The 19-year-old was in impressive form, despatching 32-year-old former world No.2 Duncalf 11-3, 11-6, 11-5 in 25 minutes. 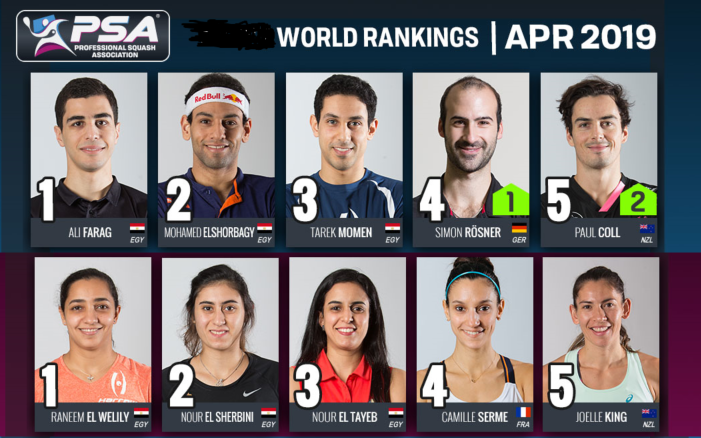 World No.2 El Welily, born and raised in Alexandria but now based in Cairo, lined up against the Indian number one Dipika Pallikal. 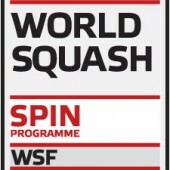 The second seed was made to work to overcome Pallikal, ranked 17 places lower. 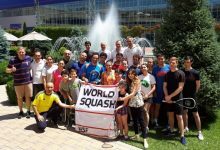 El Welily took the opening game and squandered a lead in the second to allow the world No.19 from Chennai to draw level. 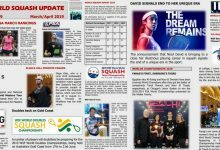 The local heroine had to fight back to take the third in a tie-break – but soon took control of the fourth to win 11-9, 9-11, 12-10, 11-3 after 41 minutes. El Sherbini will face a second successive English opponent in the event after former world champion Laura Massaro overcame USA’s ninth seed Amanda Sobhy in four games. 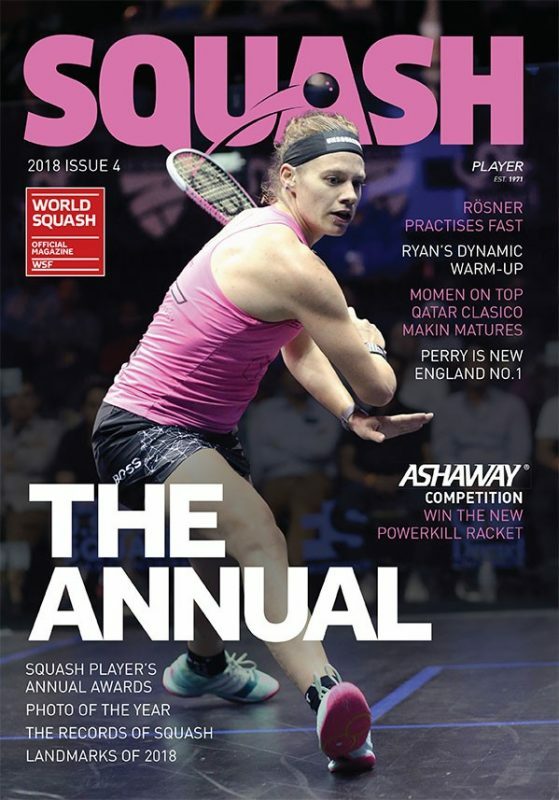 It was Sobhy’s first Tour event since graduating from Harvard University last month – and the 21-year-old from New York stemmed Massaro’s two-game lead by taking the third before the England number one regained the upper hand to close out the match 11-7, 11-8, 9-11, 11-7 in 45 minutes. 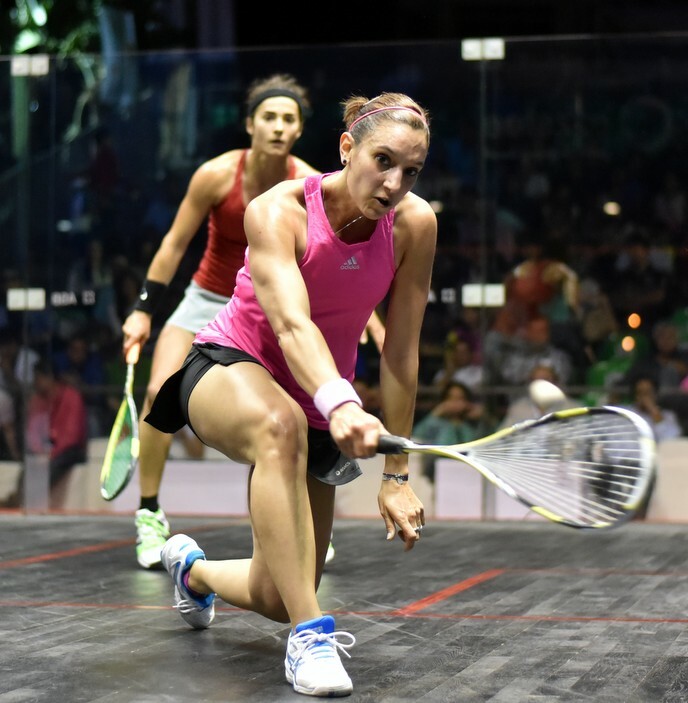 El Welily will face France’s Camille Serme for a place in the semi-finals. 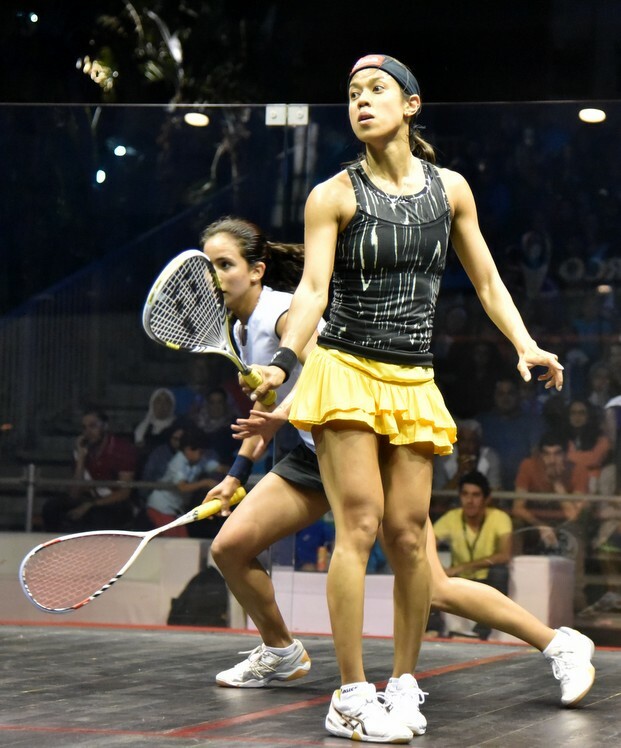 In the last match of the evening, the recently-crowned British Open champion pulled away from seven-all in the opening game to beat Guyana’s Nicolette Fernandes 11-7, 11-6, 11-3. 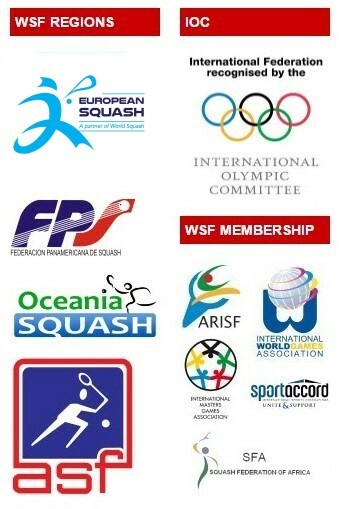 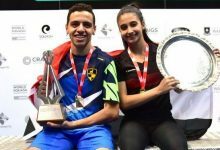 Egyptians also claimed two of the four quarter-final slots on offer on the first day of play in the second round when Nour El Tayeb and Omneya Abdel Kawy secured four-game wins over qualifiers. 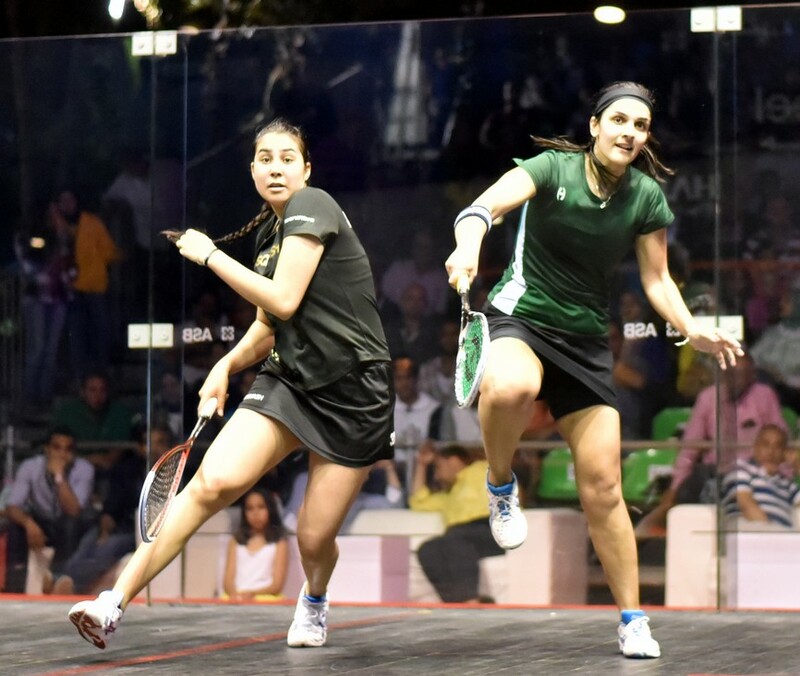 Fifth seed El Tayeb took 62 minutes to overcome compatriot Kanzy El Defrawy 11-6, 10-12, 11-7, 11-7. 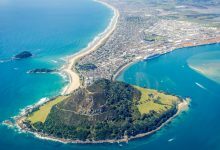 Seventh seed Abdel Kawy, the former world No4 who had to come from behind to beat Australian Donna Urquhart in a dramatic five-game first round match, also had to overcome a deficit in her second round clash with Mariam Metwally. 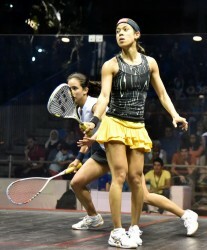 But the 29-year-old ultimately got the better of Metwally, beating the 18-year-old 11-13, 13-11, 11-7, 11-9 in 45 minutes. 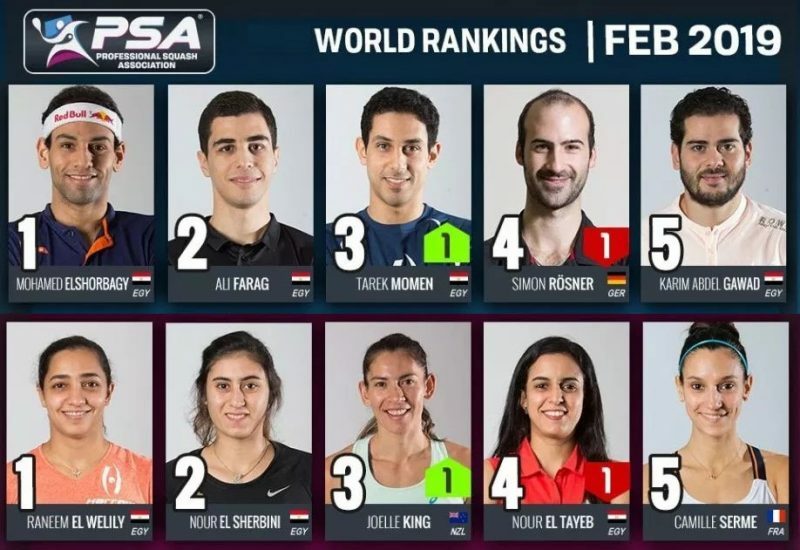 El Tayeb will now face favourite Nicol David, the world number one from Malaysia who is seeded to win her first title in Egypt since claiming a record eighth world crown in December in Cairo. 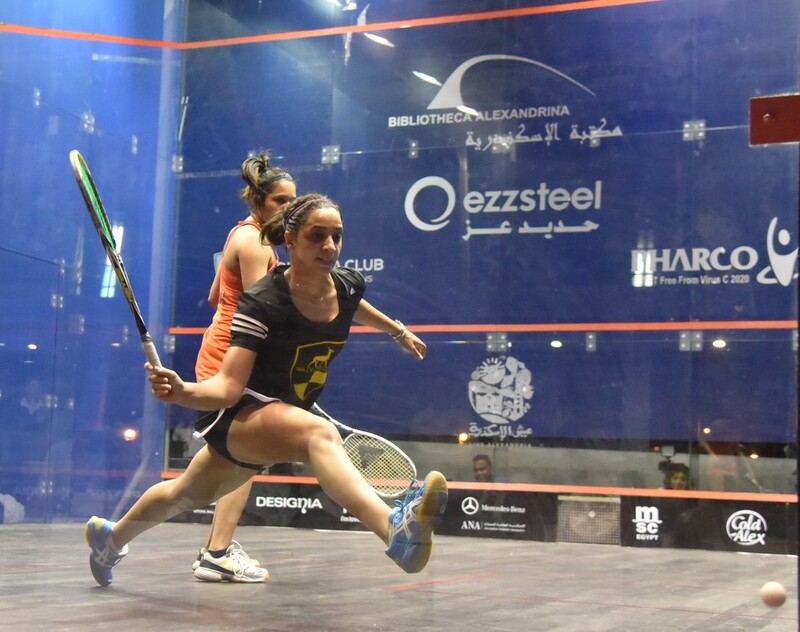 David survived two tie-break games as she overpowered Nouran Gohar, the 17-year-old 11th seed from Cairo, 13-11, 11-3, 12-10. 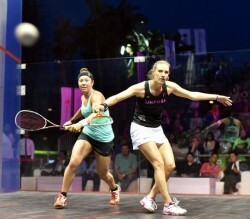 England’s No.3 seed Alison Waters awaits Abdel Kawy. 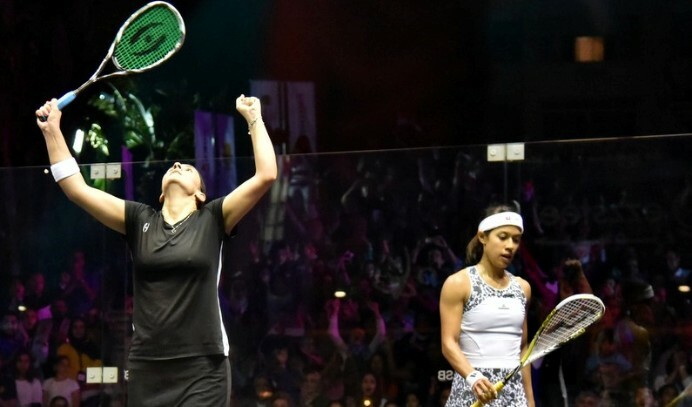 The world No.6 from London defeated 16-year-old Egyptian Habiba Mohamed 11-8, 11-7, 11-13, 11-8.